We are the longest established catering company in the Algarve (since 1996) and have been under the current ownership for the last 7 years. STYLE is a natural evolution of Fine Dining in Style and reflects changes in international dining & catering to something equally stunning, but delivered with more style and less starchy fine dining! So we offer you Style, a single stop for all your special event requirements, food, styling, rentals, extraordinary staff, planning, managing and even a concierge and venue finding sevice. We work with the leading villa rental agencies for unique properties, we have private owners who trust us to rent out special, unique and luxurious villas for parties and weddings. We know of incredible villas to rent for holidays, a private family villa or an extensive estate for large reunions. We own an extensive amount of our own equipment and can comfortably cater for up to 200 guests. 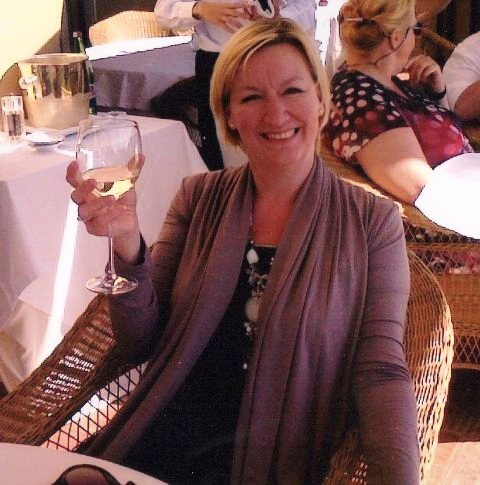 Our MD Kate Ayres Rouse is as passionate about food and wine as she is about service and with over 35 years in hotels, luxury tourism, PR and training, she is committed to creating special events, unforgettable weddings and amazing food for every occasion. Working alongside a team of professional chefs, her global knowledge of food trends, travel and tastings offers clients of Style a truly unique, bespoke experience. We are special occasion caterers - we are not chalet chefs! We have spent years perfecting our menus, our style and our commitment to our clients. We launched our wedding planning service in 2014 to offer a fully inclusive service to our very special couples. Limited in availability to just a maximum of 15 couples per year, our wedding service is totally bespoke and offers you consultation with a choice of highly competent and talented partners from throughout Portugal and overseas to bring together the floral aspects, photography & video production and entertainment that makes your day truly unique to you. We offer a lawyer for legal ceremonies who speaks fluent English and we also have many unique venues only available to our clients via our connections as trusted caterers and planners with an excellent reputation in the local market. Many of the unique properties are privately owned and belong to clients of ours who allow the occasional wedding each year knowing they can trust us to look after and return the property in the same condition. During the summer months we offer an exclusive private chef service, staffed by a team of fully qualified experienced chefs and waiters. This service is again totally bespoke and designed for you and your family’s individual requirements. We also custom-style parties, BBQs and memorable dinners. Our pricing structure sits at a comparable level with the top restaurants in the area, except with us you are enjoying a private, intimate and unique experience with your family and friends. Working alongside Kate is a team recruited for their care, commitment to excellence and the understanding of relaxed fine dining. As the world changes, people want less starchy, formal plated service - we offer exceptional food in an environment which reflects your personal tastes: from gourmet BBQs to street-food cooking stations, or plated dinners but with aspects of fun and flexibility. Although we have an extensive menu, we do like to have a chat with you and personalise all our menus to your particular style and guest requirements, including any allergies and dietary requests.